Chocolate good. Who starts Niederegger "classic of the year" Double Chocolate once, can not stop. Under a layer of crunchy bittersweet chocolate is juicy chocolate marzipan, in which there are still fine pieces of chocolate stuck. 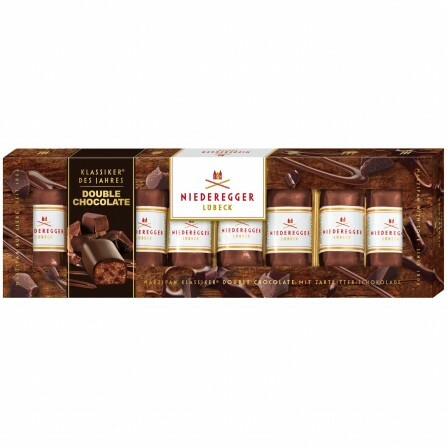 Give the delicious chocolates as a gift or pamper yourself with this extra-chocolate creation for marzipan gourmets.